There’s always something new on the market that promises to banish skin issues and blemishes, but you’ll never know which one really does the job unless you give those beauty products a try. If you’re one of those people who suffer from blackheads, you probably understand the struggle of finding a product that claws the trapped dirt out of your pores. Getting clear skin is definitely a challenge, so it’s really important to use the best blackhead mask peel to keep your face looking fresh at all times. Getting rid of blackheads might seem one of the biggest challenges among men and women, and despite the tremendous effort to protect the skin, this issue keeps on coming back. This is perhaps the reason behind the endless introduction of new beauty products claiming to make the battle against the stubborn blackheads somehow easier to win. 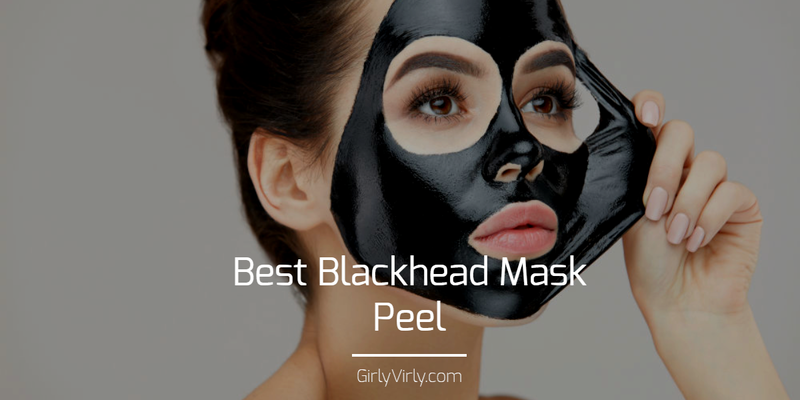 With the seemingly increasing amount of mask peel products flourishing in the beauty world, plus the videos online showing satisfying results, we thought it’s best to list down some of the best mask peel brands to make your search for the best blackhead mask peel easier. Mask peels are among the most popular beauty products in the market, so choosing the right one to add to your beauty regimen is not easy especially if you’re meticulous in buying something for your skin. Read on to find out the top-rated mark peel products today. Elfina is one of the favorites among beauty enthusiasts because this product ensures fresher and clearer skin after every use. It is made of special natural formula which makes dirt and grime removal easier and faster. Aside from cleaning, this product also has a moisturizing capability, so you’ll end up having not only cleaner but also softer and healthy-looking skin after your mask peeling session. This blackhead remover mask also helps you achieve flawless skin because it can remove fine hairs from your nose, forehead, chin, and cheeks. It comes in 50 ml size and has 24 months shelf life. It is made of safe and natural formula. Aside from blackheads, the product removes fine hairs as well. This product is not recommended for people with sensitive skin. The container is very small, and the formula is only good for a few use. If you’re looking for natural face treatment, then consider FineVine Activated Charcoal Mud Mask. This beauty formula is made of dead sea mud and activated charcoal which helps in removing dirt deep down from the skin, opening clogged pores, and fighting acne problems. The formula also has organic shea butter and aloe vera making this beauty product a perfect choice for people who want to have soft skin and toned complexion. Aside from removing excess oil and dead skin cells, this mask peel can also help in improving blood circulation and removing toxins which contribute to signs of early aging such as wrinkles and fine lines. Moreover, FineVine can aid in lightening the appearance of acne scars and reducing cellulite on your face. Lastly, and most importantly, this beauty product is safe for all types of skin types. It effectively fights skin issues such as blackheads, whiteheads, and acne. The product reduces the appearance of wrinkles and acne scars. The beauty formula is made of safe and natural ingredients. It promotes a clear complexion. The mask peel is a little hard to remove once it dries. It is not suitable for individuals with skin allergies. One of the best facial care products that effectively cleans the skin by deeply penetrating the pores is the MyM New Blackhead Peeling Remover Mask. Unlike other brands that are recommended to use only once or twice a week, MyM is safe for everyday use. It treats various skin problems such as blackheads, whiteheads, acne, and dark spots, giving you flawless and perfect looking skin. The beauty product is made of all-natural ingredients which help in tightening pores and improving blood circulation. It contains activated bamboo charcoal which strongly absorbs deeply-rooted dirt and grime. The formula also has powerful ingredients such as lactic acid and aloe vera to reduce acne breakouts and keep your skin looking oil-free. Aside from that, MyM also helps in lightening skin blemishes and fine lines giving your skin healthy and youthful glow. FineVine comes in 1.7-ounce size. It contains safe and natural ingredients such as bamboo charcoal, aloe vera, and lactic acid. The product effectively removes deeply-rooted grime and dirt, fights acne breakouts, and lightens skin blemishes. It is safe for everyday use. It is not recommended for sensitive skin. The mask peel may cause temporary redness. Now that you already know the main features of the three of the best brands of mask peels on the market, you might have an idea which product to purchase. For us, the FineVine Activated Charcoal Mud Mask is the best option because it removes blackheads, reduces acne breakouts, and provides other skin care benefits all at the same time. It’s great to find a product that serves its purpose and even provides a lot of other benefits. With FineVine, you can ensure that your skin is free from acne and blackheads, and appears healthy and glowing even without applying makeup. This beauty formula is also made of safe and natural ingredients, so you don’t have to worry about getting skin rashes or allergies. Lastly, the product is suitable for all types of skin types, so whether your skin is oily or dry, the FineVine mask peel is for you. Instead of pricking your pores or going to a dermatologist which would definitely cost you a fortune, using blackhead mask peel is the best option to maintain a flawless looking skin. Just be careful in picking the right brand. With the countless mask peels in the market, it’s definitely not easy to choose the one that is safe and suitable for our skin. But once you choose and apply the right one, you’ll surely enjoy the benefits of having a healthy and flawless looking skin. Get your blackhead mask peel now!